Trading and investing is a very lonely profession. Most successful traders and investors either spend their time researching, reading or being active on the social media. Not so with Manas Arora. Manas runs a restaurant in Saket, Delhi which he co-owns with his sister, practices boxing, kickboxing, and other martial arts to keep himself busy and travels around the world every three months. He still finds time to be active on the social media, posts each and every trade on his very active Twitter account @iManasArora and answers trader queries. 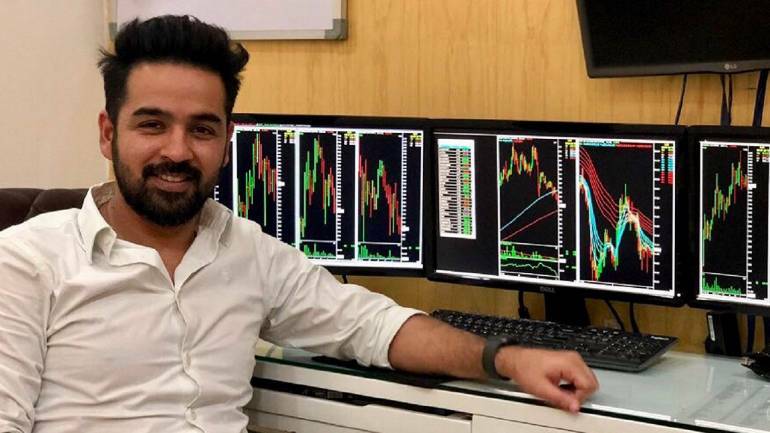 From being a call-centre employee to a successful trader Manas traveled the same path that every successful trader does, but in his case, it was slightly more treacherous as he was trading partly on borrowed money which was on the verge of being blown out. It was a book that changed all that was going wrong in Manas’ trading. Also, it was probably the lure of working from anywhere around the world that kept Manas glued to trading. He is now living his dream, traveling, running a business and of course trading.